Candied Orange Peel Revisited | wanna come with? 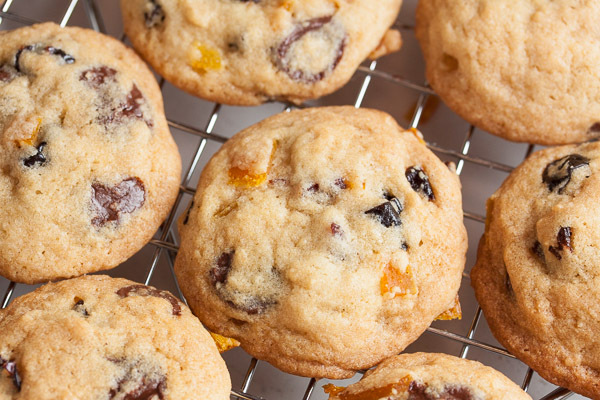 I once again found myself needing to make some candied orange peel for a cookie recipe – I went so long without ever making it until that first time, but since then I feel like I’ve made it so many times it’s starting to feel like old hat! The first time I made it, I had absolutely no idea what I was doing and couldn’t believe that I was somehow going to make orange peels edible. Those were the bits that got tossed in the compost, not eaten. And yet I did. And while it took a bit of time, it really wasn’t hard at all. And so very delicious. 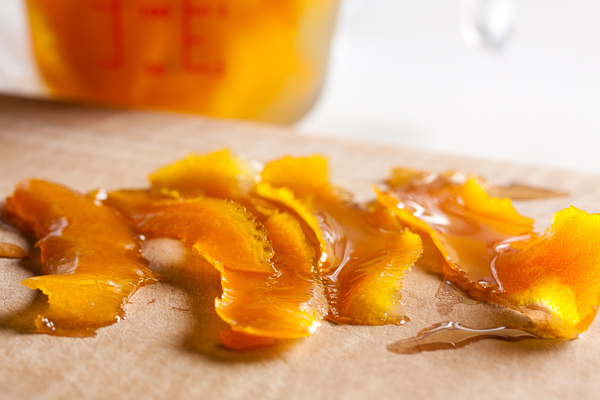 As usual, I did a lot of reading and video watching before attempting something new, and found that there are basically two schools of thought for making candied orange peel. The cooking part is pretty much the same (just with different amounts of time), but some people say to just use the very outer zest of the fruit, while other people say to use the entire peel, pith and all. The first time I made this, I went by Jacques Pepin’s recommendation and used the zest part only. It was absolutely delicious! And it worked so well that I just used that technique the other times I made it, too. But this time I decided to try the other method. Sort of. I’m still not crazy about all that bitter pith in there, so after peeling the orange, I used my vegetable peeler to remove a bit of the white (Martha recommends doing this, too, although her instruction is to use a paring knife for this step). 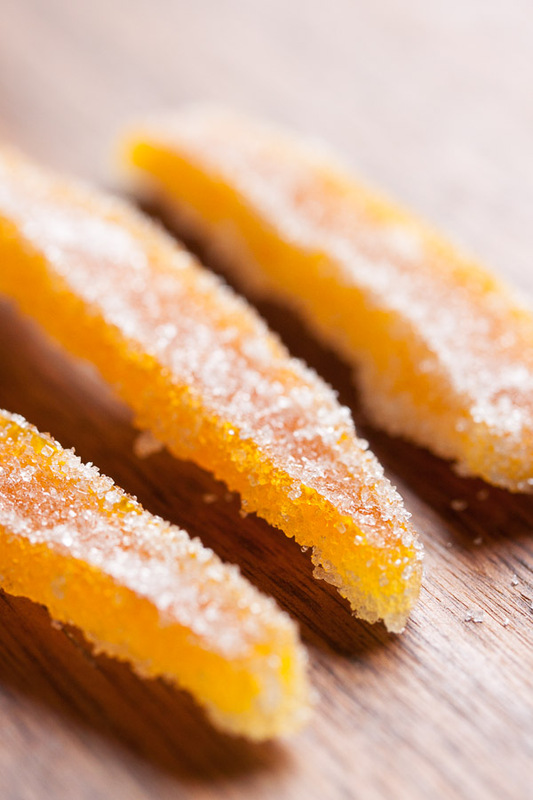 This candied peel, while also delicious, has a milder flavour than the one made with just the zest – that’s where all the flavour is, after all. But these pieces are thicker and more uniform, and a much better shape for snacking on. If you’re going to be using this peel in baking recipes, you can store it in the syrup until you’re ready to use it. But if you want to snack on it, you can drain the excess syrup and dip them in melted chocolate (delicious! ), or just coat them with some granulated sugar (also delicious). And don’t forget to save that syrup! It absorbs so much flavour from the orange, and will be delicious in cocktails, poured over vanilla ice cream, or drizzled over some pound cake. Adapted from Martha Stewart's site. 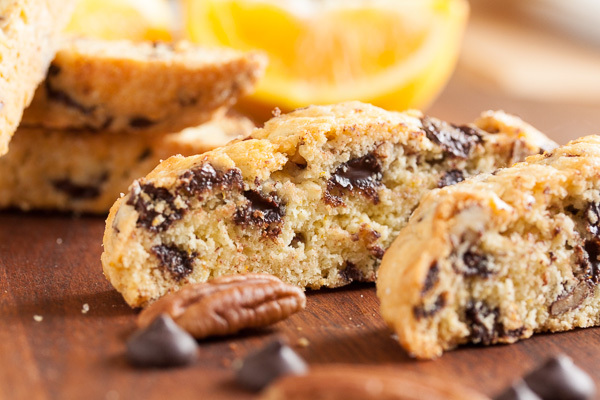 I used three large oranges for this recipe – seriously, they were like small grapefruits – and I got 1 full cup of finely chopped peel for my cookie recipe, plus another 50 pieces of peel for snacking. Start by cutting off the tops and bottoms of the oranges. Just the peel portion – you shouldn't actually cut into the orange itself. Then score the peel from top to bottom, 5 or 6 times, dividing the peel into sections. Again, not cutting into the orange itself. 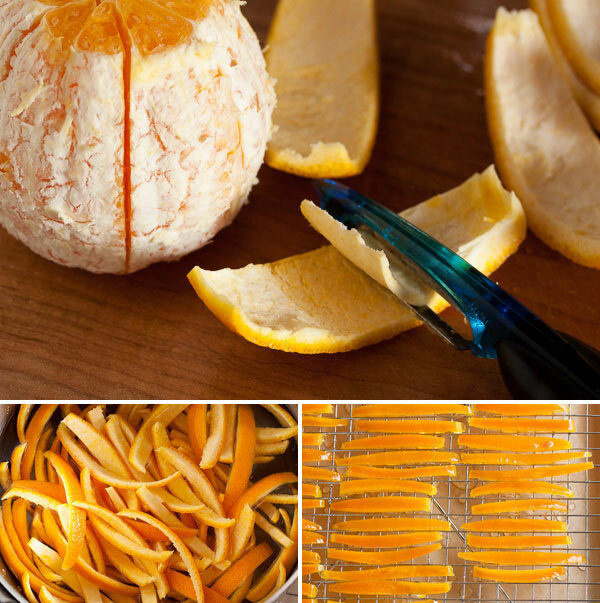 Remove these sections of peel from the orange – they should come off really easily. At this point, I used a vegetable peeler to cut away some of the white pith. You could also do this using a paring knife. The less pith there is, the more pronounced the orange flavour will be. If the pith on your orange isn't too thick, you can skip this step. Cut into strips about 1/4" wide. Put the orange peel in a saucepan and cover with cold water. Bring to a boil over medium heat, then drain and rinse. Repeat twice more. In a clean saucepan, combine the sugar with the 2 cups water and bring to a boil over medium heat, swirling the pan occasionally to ensure the sugar is fully dissolved. Add the citrus peel and reduce the heat to a simmer. Continue to cook the peel until it's translucent. This could take up to an hour – just keep an eye on it. Once the peel has cooked, remove from the heat and allow it to cool in the syrup for about an hour. If you're planning to use the peel in another recipe, leave it in the syrup, cover, and refrigerate it for up to three weeks. 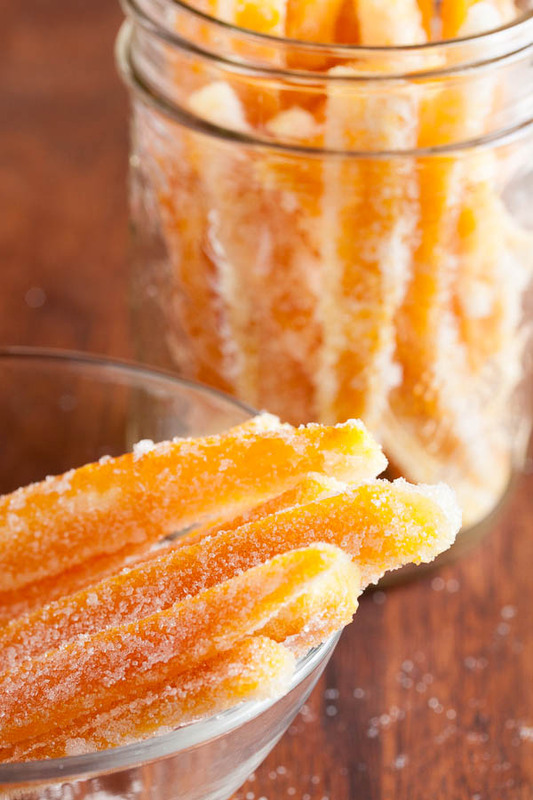 If candied orange peel is your end game? Remove the pieces of peel from the syrup and drain off as much of the syrup as possible. Place them on a wire rack and allow them to sit for about an hour (remember to put some wax paper or parchment paper underneath the rack to catch any drips). 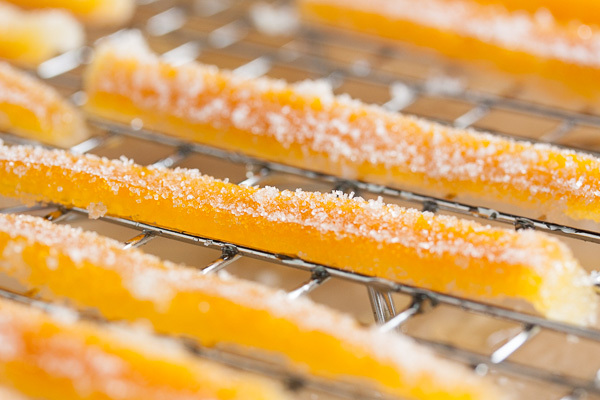 Toss the pieces of peel in granulated sugar until they're completely coated, and then transfer back to the wire rack to dry for at least half an hour. If you'd like to dip them in chocolate? Remove the peel from the syrup and drain off as much excess syrup as possible. Transfer the peel to a wire rack to dry for a few hours before dipping them in melted chocolate.